Supposedly, it's the very Samsung Galaxy S5 that fails to strike a chord with many mobile users due to its subtle upgrades and tacky design, so the Galaxy Note 4 is set to become Samsung's true flagship phone with a larger 5.7 inch 2560 x 1440 pixels QHD screen, and enhanced practical features covered. With the open of 2014 IFA in Berlin, the mysterious Galaxy Note 4 has finally been unveiled, which amazes you at its two variants that one sports an octa-core Exynos 5433 chipset, which is split up into a 1.9GHz quad-core processor for bigger activities and a 1.3GHz quad-core for the menial tasks; everywhere else, the Note 4 will boast a 2.7GHz quad-core Snapdragon 805 with a 600MHz Adreno 420 GPU. Both versions will feature 3GB of RAM, the same amount as the Note 3. 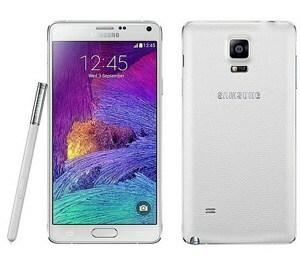 Scheduled to begain sell in October, it's quite convincing to say Samsung Galaxy Note 4 is the most anticipated yet impressive device to enjoy multimedia life as its incomparable QHD screen alongside amazing CPU and GPU will definitely bring you an unprecedented wonderful experience on watching DVD movies, HD videos and more. Since Galaxy Note 4 would be the highlight and featured product of Samsung, a slew of Samsung fans would pay attention to everything related to it, like best DVD ripper for Galaxy Note 4 to rip DVD, free video converter for Samsung Galaxy Note 4 to convert YouTube or HD video and more. Here I will introduce the best yet free best DVD ripper for Mac/PC and video converter for Samsung Galaxy Note 4 and present the how DVD ripping and video conversion procedures for you. I bet many a friend has the inclination of allodoxaphobia like me, for it's always hard to choose the best one from so many uneven qualities of products. And singling out the best DVD ripper for Samsung Galaxy Note 4 is also of no exception. 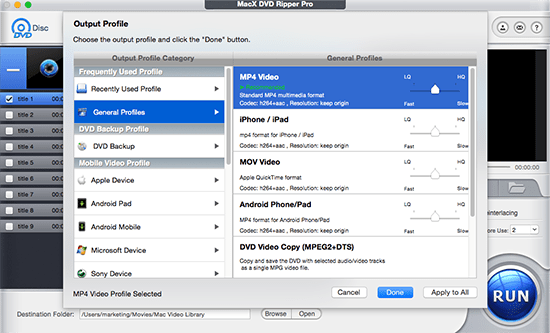 When it comes to the best yet free DVD ripper for Mac OS X Mojave, no one tops MacX DVD Ripper Pro, since it's the professional yet all-round DVD ripping app for you to rip any DVD to MP4, M4V, DVD to AVI, FLV, WMV, MKV, 3GP, 3G2 and more Samsung compatible formats for playback on Galaxy Note 9/4/3/10.1, Galaxy S9/S8/S7/S6/S5, as well as iPhone iPad, HTC, Surface Pro, etc. with 100% original quality persevered thanks to its powerful High Quality Engine support. And this unparalleled Galaxy Note 4 DVD ripper also gives you a boost to rip encrypted DVDs; no matter the DVD copy protected by Disney DRM X-project or the common CSS, Region Code, UOPs, Sony ARccOS, it can bypass the copy-protection technologies without striking a blow. In consequence, you can rip and convert any DVD to Galaxy Note 4 for personal use without concerning any annoying DVD encryptions. Step 1: Free download this superb DVD ripper for Galaxy Note 4, run it and click "DVD Disc" to add DVD from DVD drive. Or you can click "DVD path" to import DVD from DVD folder. Step 2: Select MP4 video as output format, or you can also choose "to Samsung Galaxy Note 4" as output format from Samsung Device Video in Android Mobile. For more demands, click DVD to AVI, DVD to MKV, DVD to Samsung Galaxy, DVD to iPad, DVD to iPhone, etc. Step 3: Click the "Browse" button and choose the location where you would like to save the output video file. Step 4: Press "RUN" button to begin to rip DVD to Samsung Galaxy Note 4. The whole DVD ripping process will cost you merely a few mins. Tip: More than a matchless DVD ripper for Galaxy Note 4, it can also act as the versatile DVD backup app that you can utilize it to backup DVD to ISO image with original video quality and original 5.1 channels Dolby AC3/DTS audio, copy DVD with main/full title or clone DVD to MKV for eternal storage. iOS users need a further step to play DVD on iDevices - sync the converted DVD movie file. You can use iTunes or MacX MediaTrans that sits No.1 on iTunes alternative list for its ease of use and fast file transfer speed. Speaking of the super fast yet free video converter for Galaxy Note 4, MacX Video Converter Pro is of the first water, which boasts the advanced hyper-threading tech and multi-core CPU to aid you to convert any SD and HD video to Galaxy Note 4 with 32X faster speed such that converting FLV, MP4, MOV, AVI, etc. to galaxy Note 4 can be fulfilled as fast as blinking an eye. More incredibly, this top-tier Galaxy Note 4 video converter also enables you to get YouTube videos downloaded and converted with barely mins and up to 98% quality reserved owing to its built-in high technologies aids. With this high-end Mac video converter, you can free watch any YouTube video no matter SD or 720P, 1080P, 4K video on Samsung Galaxy Note 4 without suffering network traffic jam any more. Step 1: Free download the Samsung Galaxy Note 4 video converter on Mac, and launch it. Click "Add File" button to browse your computer hard disc and add video for conversion. Batch conversion is also supported, you can load several video clips at one time. 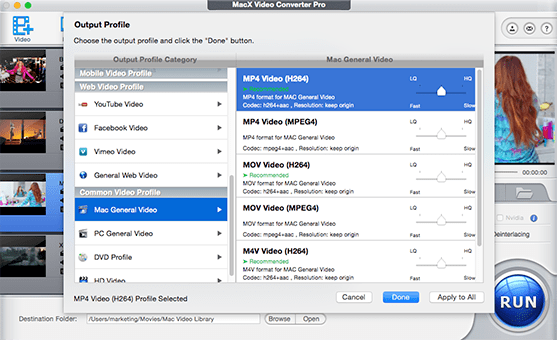 Step 2: Choose MP4 as output format from the format list. You can also choose to convert video to 3GP, FLV, AVI, M4V, MKV, WebM and other mainstream format for playback or uploading. Step 3: Click the "Browse" button to choose the path where you want to save the output video in. Step 4: Click on the "RUN" button to start converting video to MP4. After a fraction of mins, you can enjoy the video on your Samsung Galaxy Note 4. Note: Beyond converting video to Samsung Galaxy Note 4 supported formats, this galaxy Note 4 video converter can also let you convert video to Galaxy S5/S6/S7/S8/S9, iPhone xs/xr/x/8/7/SE/6s/6, iPad Mini with Retina, iPad Air, HTC One M10/9, Surface Pro, WP8, PSP and more with 280+ preset profiles standing for you. Notice: We only advocates using this best DVD ripper to rip commercial DVDs under the concept of Fair Use and does not encourage any illegal reproduction or distribution of copyrighted content. Please abide by the local DVD copyright law before doing it. Do you want to get best DVD ripper for Mac? Stay on the page, the DVD ripper for Mac reviews compare four best Mac DVD rippers, helping you easily decide which one is the best DVD ripper for Mac software and works best for you. This tutorial is about how to rip DVD to Galaxy Note 9 supported formats. With the help of MacX DVD to Galaxy Note 8 ripper, you can easily put and play DVD movies on Samsung Galaxy Note 9 wherever you go. MacX DVD Ripper Pro is the best DVD to Samsung Galaxy ripper for Mac which can freely rip DVD to MP4, MOV, M4V Samsung Galaxy supported formats or iPad Pro/Air 2/mini 4 and backup any DVD disc, ISO image, DVD folder on Mac (MacBook Air/Pro, iMac etc) in 1:1 quality with original quality.